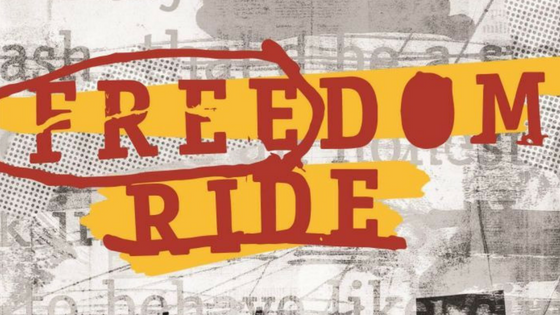 Freedom Ride takes a look at the efforts by Australian Indigenous people and their supporters to bring attention to the inequities they were being subjected to everyday, from the point of view of Robbie, a white teenager who knows something is wrong but doesn’t know if he can, or should, stop it. I was both enthralled and ashamed while reading this book. Enthralled by the characters, setting and sheer quality of the writing and ashamed that, as a former history teacher, I knew nothing about this time in Australia’s history. How could I have talked about the civil rights movements in America and known nothing of the civil rights campaigns in my own country? Robbie is faced with a terrible decision – to do what’s right or to stay within the confines of his family, friends and community. Watching how he deals with this is wonderful reading.